The Most Complete, Scientific and Informative Course on Bodybuilding Ever Offered! There are plenty of bodybuilding courses around that will teach you how to do a one arm curl. But have you seen any instruction offered on how to train to do a one-arm chin up? Or how about a one-legged squat? This course is simply written, loaded with valuable illustrations, and gets right to the task of teaching you progressive resistance training. 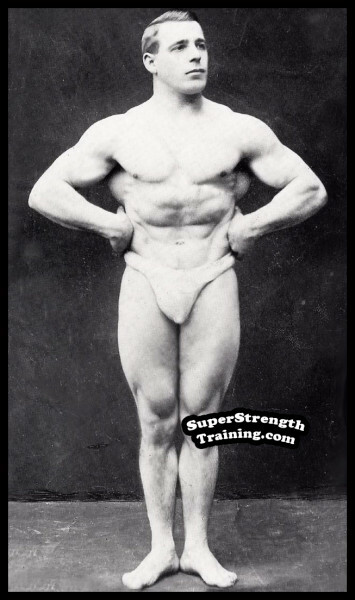 At the age of 16 David P. Willoughby became interested in weightlifting, later won the A.A.U. Championship of Southern California in 1923-24-25-26 and in 1924 was A.A.U. National Champion. 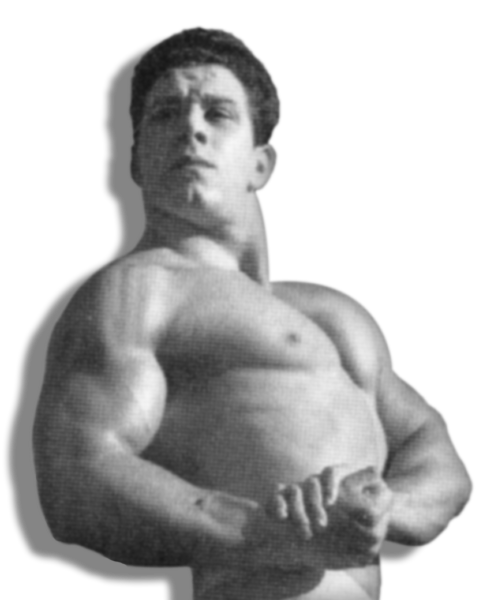 For over 50 years he wrote hundreds of articles on weightlifting and bodybuilding in such famous publications as “Iron Man”, “Physical Culture”, “Superman”, “Your Physique”, “Strength and Health”, etc. 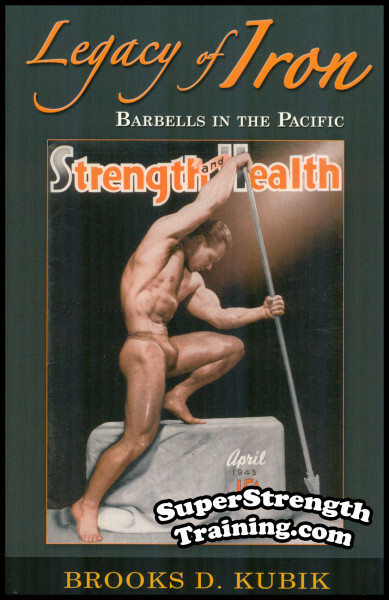 His magazine serial articles on strongmen including; “Kings of Strength”, “Feats of Strength”, and “Strength Through the Ages”, are considered to be the most complete coverage of the subject ever written! 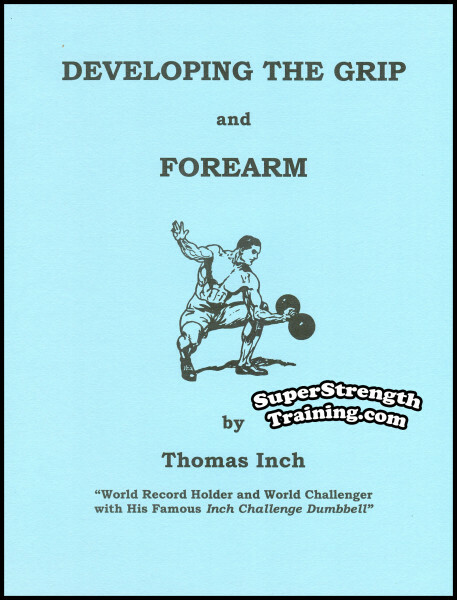 Some of his many books include: “Arm Development”, “Powerful Arms for You”, “Powerful Chest for You”, “The Kings of Arm Strength”, “The Complete Guide to Muscular Measurements”, and “The Super Athletes” (which is probably the foremost work ever written on athletic performance). As a lifting champion, writer, historian, anthropologist, gym owner, Willoughby’s contributions to bodybuilding and weightlifting are enormous! The purpose of this course of instruction. How much time you can expect to dedicate for optimum results. What you can expect. The plan of this 10 Lesson Course, describing how it is laid out, where to start, which Lessons to include from the very beginning. Exercises for giving internal massage to the abdominal organs, thus promoting healthful action of the intestines and overcoming constipation; for energizing the spinal cord and nervous system; and for developing the muscles of the lower abdomen and groins. Preliminary program of exercises for organic conditioning and for general muscular development: for the neck, chest, arms, sides, abdomen, loins and thighs. The importance of deep breathing describing how to benefit from ALL FOUR areas of breathing. How to breathe while exercising including the secret of “double breathing”. The skin, its function; how to keep it in proper condition. The tonic bath and its benefits. The dos and don’ts of physical culture. A number of beneficial habits to cultivate and those to avoid. The interdependence of exercise and nutrition, how they interact with one another for the best possible results in developing a strong, muscular, body. A complete discussion of the Three Fundamental Food Classes: Proteins; Carbohydrates; and Fats; what they are, what they contribute to the body, and which foods provide the best source. Vitamins: A complete discussion of all the established vitamins, what they are, how they interact with other elements, what they contribute to the body, and which foods provide the best source. Minerals: A complete discussion of all the established minerals, what they are, how they interact with other elements, what they contribute to the body, and which foods provide the best source. Water: A complete discussion regarding the importance of water, how it functions in the body, which foods provide the best Source. Cellulose: A complete discussion of the importance of cellulose, what it is, what it does, and which foods provide the best source. A complete discussion of the staple articles of diet: Meat; Fish; Milk; Eggs; Fruits and Vegetables; Breads and Cereals; Legumes, Nuts and Seeds; Sweeteners. When and how to consume various nutritional elements for best results. Which nutritional elements to consume, which nutritional elements to avoid, and why. A discussion regarding the importance and the best sources for natural food supplements. Natural foods, and their amounts, which ones should be included in everyone’s dietary regime for best results. The necessary elements for gaining muscular body weight. The basic dietetic procedure for gaining weight. Foods to be consumed. Foods to be avoided. The chief dietetic rule for underweight persons. When, why, and how to eat to increase body weight. 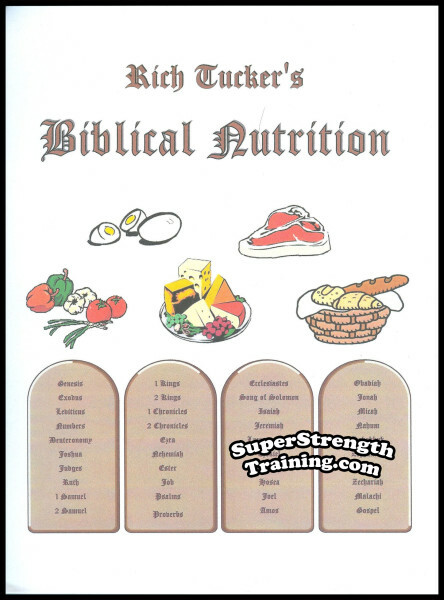 A sample menu including what to eat, when to eat, serving size, food supplements, etc., for gaining muscular body weight. The general dietary rules for reducing body weight. The basic dietetic procedure for reducing weight. Foods to be consumed. Foods to be avoided. When, why, and how to eat to reduce body weight. A diet designed for those who have difficulty losing weight on the usual low-calorie diet. It provides a long listing of a wide variety of suggested common foods, including their measure of calories, protein, fat, and carbohydrate. The importance of adequate rest and its relationship to building optimum physical conditioning. Helpful rules and suggestions for bringing about restful sleep. The purpose of the waist muscles; the emphasis given them by the ancient Greeks. Numerous valuable exercises for the abdominal and groin muscles, together with complete directions for their application as progress in strength is made. Powerfully effective exercises for the important, though usually neglected, muscles of the sides of the waist. Authoritative information on what a hernia or rupture is, the cause, treatment by means of exercise, and prevention. The problem of constipation, its cause and cure. Introducing the Single-Progressive System. Moving on to the Double-Progressive System. How to avoid over-training. How to apply the “Set System” to your training. Continuing your progression in strength by substituting advanced exercises. How strong leg muscles benefit the circulatory and respiratory systems of the body. The importance of strong muscular thigh and buttocks muscles to the maximum overall strength of an athlete. Anatomical divisions of the legs. The functions of each muscle group. How to obtain the best results in leg development. The best exercises for strengthening the heart and lungs. A new and simple means for exercising the thigh and buttock muscles that develops maximum size and power in these parts, producing wonderful thighs and trim, firmly-knit knees. How to develop the hip muscles. How to obtain a full, rounded development of the under thigh muscles. An informative discussion of why, in many persons, the calves are difficult to develop; together with constructive advice. Developing exercises for the calf muscles that really produce results. Exercises for the shin muscles. Important advice for the beginner in utilizing this course of instruction. The ideal proportionate size of the neck. Why the condition of the neck is an indicator of good health. An explanation of the function of the various muscles of the neck. The ideal relationship of the size of the neck to the size of the chest. Interesting and effective exercises for the neck. Various means for developing to perfection each and every part of the neck. The prime importance of strong loins to great strength. The anatomy and functions of the spinal muscles. A series of unsurpassed exercises for lower back development. Numerous special exercises together with supplementary exercises and tests. What your current physical training routine should look like. Why broad shoulders enhance the overall appearance. How shoulder strength assists the rest of the body during lifting heavy weight. 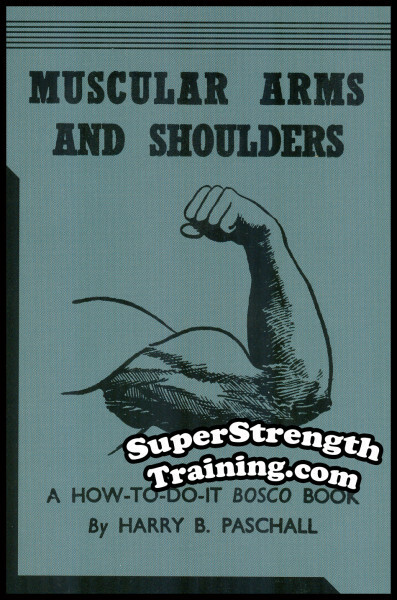 The muscles of the shoulders, their functions, and the best exercises for developing them. Special exercises for filling out all portions of the shoulders, the hollows over the collarbones, and the upper back; and for increasing the bony breadth of the shoulders. An introduction of how to do a handstand for developing the limit of size and power in the deltoid and upper back muscles. How to obtain a vaulted conformation of the chest itself. Developing the muscles of the breast, the broad of the back, the armpits, the sides and lower front of the chest, and between the ribs. The muscles of the chest, their functions, and the best exercises for developing them. Exercises that materially increase the girth of the chest and greatly improve the shape of the back. Special exercises for developing, and feats for testing, the muscles of the chest and back. The muscles of the back, how to develop them for power and shape. The best exercises for developing the back muscles. Learn to do a one-arm chin up. A discussion on the importance of well-developed arms in relation to the rest of the bodily proportions. Upper-body vs. lower-body development. A complete discussion of how the muscles, bones, joints, etc., function in relation to one another. The best exercises for developing the biceps, triceps, and other upper arm muscles. A wide variety of the most interesting exercises and tests for these parts. 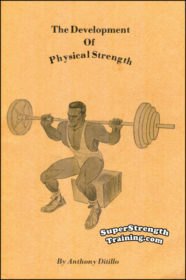 A summary of popular tests and specialty feats of strength of famous “strong men”. Where you should be with your current physical training while exercising without dumbbells, or with a pair of adjustable dumbbells. Exercises for the hips, thighs, calves, ankles, back, shoulders and chest. Self-applied movements for adjusting the spine. Exercises for loosening the hip-joints and back-thigh muscles. Exercises for stretching the backs of the thighs, the spine, calf muscles, and for making the ankle-joints flexible. Exercises for promoting flexibility in the spinal column, loosening the shoulders and shoulder-joints, broadening the shoulders, back muscles, and chest. Advanced exercises for loosening the shoulders and chest. Rules and exercises for promoting correct posture and for remedying local structural defects. Special exercises for correcting round-shoulders, a rounded or “turtleback,” a lateral spinal curvature, hollow back, and increasing the height. Exercises for correcting flatfoot, fallen metatarsal arches, and structural defects of the legs, such as knock-knee and bowleg. Suggested daily exercises, nutrition, and recuperation advice for maintaining proper flexibility and posture. Physical fitness largely reflected in the size, shape and appearance of the body. The factors which determine one’s ideal weight and measurements. Tabular presentation of correct measurements and classification as to Body-Build, applying to the individual student. A thorough explanation of exactly how to take and record measurements of the body. A complete and highly informative discussion, presenting new and accurate rules and methods for determining the ideal measurements and proportions of the Neck, Shoulders, Arms, Forearms, Wrists, Chest, Waist, Hips, Thighs, Knees, Calves and Ankles. – A veritable mine of information for all interested in physical perfection. Facts concerning the structure of the body and the extent to which it may be developed and improved by proper exercise. Its relationship to the muscles. How the bones may be made thicker. Their construction and purpose. The function of the Ligaments. Their classification. The difference between Tendons and Ligaments. Interesting facts and figures, presented to physical culturists for the first time, relating to the structure, functions, strength and response to exercise of the muscles, tendons and bones. These anatomical charts illustrate the location of the principal muscles of the body and enumerate the exercises which develop each. A few words about the illustrations of the Farnese Hercules. Explanation of the names of the muscles and of the various movements of the body. Two sample exercise programs Mainly for Keeping Physically Fit. Two sample exercise programs for Building a Well Proportioned Physique and All-round Strength. Two sample exercise programs for Building One’s Individual Limit of Muscular Development and Strength. Beautifully Prepared. Profusely Illustrated. Authoritative. 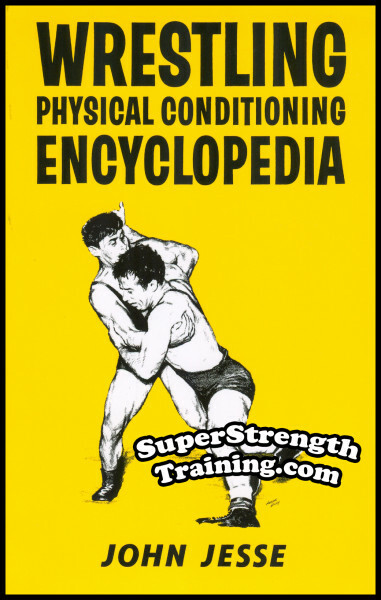 a Veritable Encyclopedia of Exercises. Incorporating New and Original Principles that Produce Maximum Results! 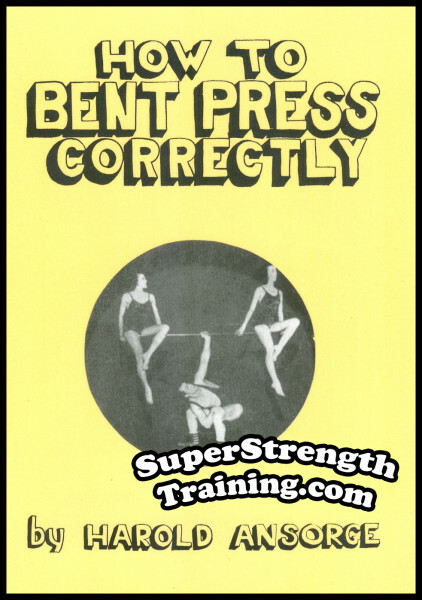 Now benefit from the vast knowledge and experience of David P. Willoughby, one of the most famous training authorities of all time, and consider ordering the best training manual ever written! The course includes ten 8 1/2 x 11 books, over 100,000 words, with over 100 charts, graphs and illustrations! Back by popular demand after 40 years! 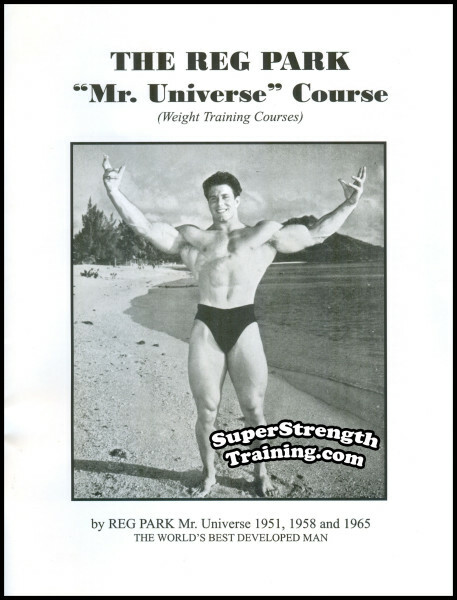 The VERY RARE secret barbell and dumbbell training methods used by World Famous Bodybuilder, Reg Park, to win the prestigious NABBA Mr. Universe 3 times! 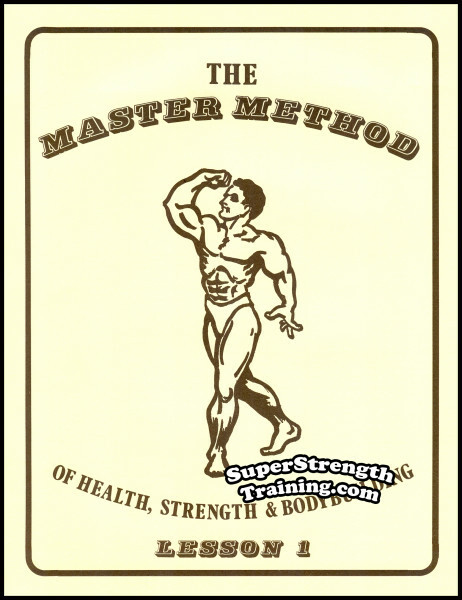 His MASTER COURSE of 2 books and 6 wall charts for successful barbell training! Read More! The only man to ever officially bent press 300 lbs. with the left arm! 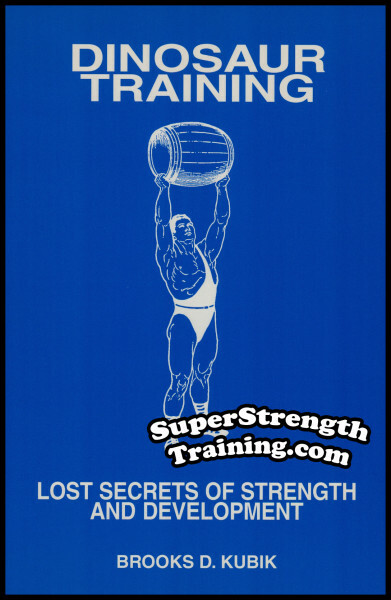 After studying the methods used by Arthur Saxon and spending hours of trial and error, he reveals the secrets, tricks, right and wrong styles, what worked best for him, and training programs. Read More! 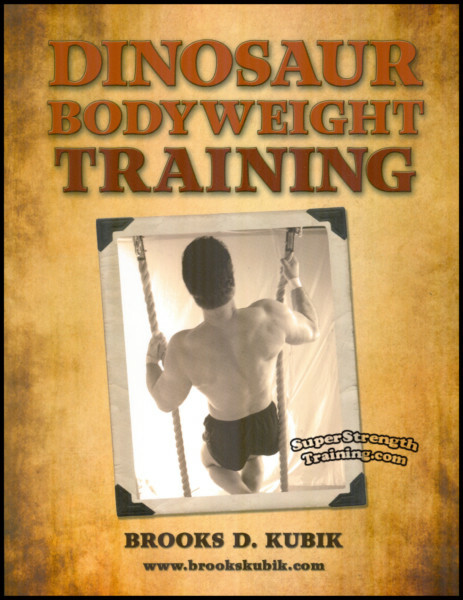 An encyclopedia of bodyweight exercises. Over 50 hard-hitting, step by step training programs for beginners, intermediates, and advanced trainees including all-bodyweight programs and programs that combine bodyweight training and weight training. Read More! 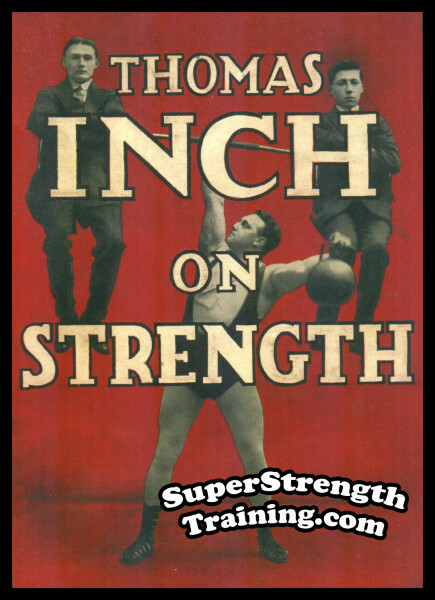 Published in 1932, the author explains: Secret Methods of Music Hall Strong Men, card tearing, supporting weight, lifting human weight, chain breaking, bending & snapping iron bars, resisting the pull of 12 men; The Art of Full Contraction; etc! Read More!